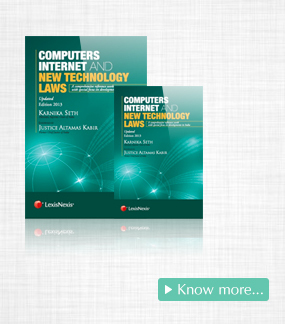 THE PAST year has brought many important judgments in the field of cyber laws. The pace at which this dynamic field of law is developing in India is indeed phenomenal. This survey discusses the recent developments in cyber laws in India, particularly the recent case law passed by Indian courts to interpret and elucidate the extant cyber law. In Sudershan Cargo Pvt. Ltd. v. M/s Techvac Engineering Pvt Ltd.,1 the High Court of Karnataka considered whether e-mail/s acknowledging debt would constitute a valid and legal acknowledgement of debt though not signed as required under section 18 of the Limitation Act, 1963. The court held that an email communication is legally recognized by section 4 of the Information Technology Act, 2000 (hereinafter IT Act). The court further held that section 18 does not provide that acknowledgement has to be in any particular form or to be express.According to the court, even a statement which amounts to an acknowledgement may be sufficient, if it implies an admission of liability and it can be made by an email. The court observed as follows:2A harmonious reading of Section 4 together with definition clauses of the Information Technology Act under sections 2(a), 2(r), 2(t),2(v) and 2(za) would indicate that on account of digital and new communication systems having taken giant steps and the business community as well as individuals are undisputedly using computers to create, transmit and store information in the electronic form rather than using the traditional paper documents and as such the information so generated, transmitted and received are to be construed as meeting the requirement of section 18 of the Limitation Act, particularly in view of the fact that section 4 contains a nonobstante clause.In this case, the respondent did not dispute the information transmitted by email to the petitioner was actually sent by him, for this reason and the aforementioned reasons, the acknowledgement as contained in the e-mails dated14.01.2010 and 06.04.2010 originating from the respondent to the addressee was held to be legally valid. Section 66A of Information Technology Act, 2000 held unconstitutional In a land mark ruling of the Shreya Singhal v. UOI,3 the Supreme Court of India struck down section 66A of the IT Act, 2000 as unconstitutional. This public interest litigation (PIL) was filed to challenge the constitutionality of section66 A of the IT Act as being arbitrary, ambiguous and violative of fundamental right to free speech guaranteed under article 19 of the Constitution of India. Thecourt held that section 66A is clearly vague, ambiguous and is violative of right to freedom of speech and it takes within its sweep the speech that is innocent aswell. The court took the view that no part of judgment was severable and sectionas a whole was struck down as unconstitutional.Commenting on arbitrariness of section 66A, the court observed: 4If one looks at Section 294, the annoyance that is spoken of is clearly defined-that is, it has to be caused by obscene utterances oracts. Equally, Under Section 510, the annoyance that is caused to a person must only be by another person who is in a state of intoxication and who annoys such person only in a public place orin a place for which it is a trespass for him to enter. Such narrowly and closely defined contours of offences made out under the Penal Code are conspicuous by their absence in Section 66A which in stark contrast uses completely open ended, undefined and vague language. 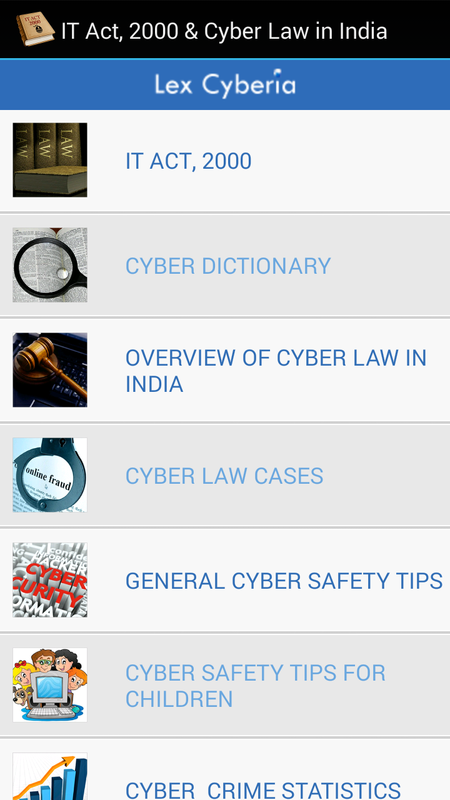 Incidentally, none of the expressions used in Section 66A are defined. Even“criminal intimidation” is not defined-and the definition clause of the Information Technology Act, Section 2 does not say that words and expressions that are defined in the Penal Code will apply to this Act.Quite apart from this, as has been pointed out above, every expression used is nebulous in meaning. What may be offensive to one may not be offensive to another. What may cause annoyance or inconvenience to one may not cause annoyance or inconvenience to another. Even the expression “persistently” is completely imprecise-suppose a message is sent thrice, can it be said that itwas sent “persistently”? Does a message have to be sent (say) at least eight times, before it can be said that such message is“persistently” sent? There is no demarcating line conveyed by any of these expressions-and that is what renders the Section unconstitutionally vague. The court rightly held that section 66A is drafted so widely that any opinion on any subject would be covered by it. The court regarded that if the section was not struck down as unconstitutional there would be a total chilling effect on free speech. The court further observed that if section 66A is otherwise invalid, it cannot be saved despite any assurance from the additional solicitor general that it will be administered only in a reasonable manner.The court considered constitutionality of section 69A and the Information Technology (Procedure & Safeguards for Blocking for Access of Information by Public) Rules 2009 and held these are constitutionally valid. 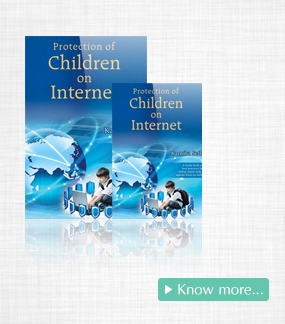 According to the court, section 69A is a ‘narrowly drawn provision with several safeguards’. Court reached this conclusion on the basis that blocking can only be adopted where the Central Government is satisfied that it is necessary so to do and reason must be covered by the subjects set out in article 19(2). Also, reasons have to be recorded in writing in such blocking so that the order can be challenged if required in a writ petition under article 226 of the Constitution.The court further observed that section79 of IT Act is valid subject to section79(3) (b) being read down to mean that an intermediary upon receiving actual knowledge from a court order or on being notified by the appropriate government or its agency that unlawful acts relatable to article19 (2) are going to be committed then fails to expeditiously remove or disable access to such material.This decision has removed an arbitrary provision from IT Act, 2000 and upheld citizens fundamental right to free speech in India. Though section 66A is struck down, provisions in Indian Penal Code, 1860 (IPC) continue to be applicable prohibiting racist speech, any speech that outrages modesty of a woman or speech aimed at promoting enmity, racism, abusive language, criminal intimidation etc.